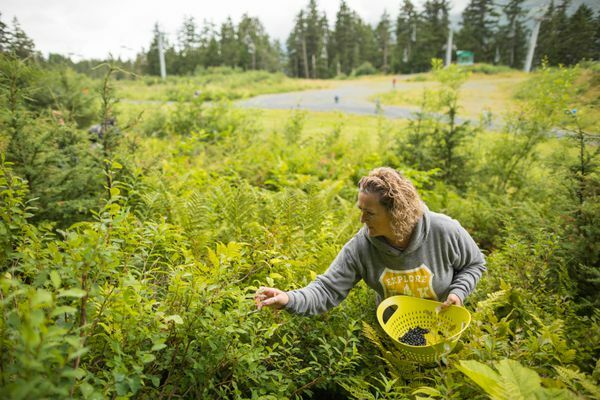 The Alyeska Resort Blueberry Festival, now in its 11th year, draws thousands of people to Girdwood for a celebration of everything blueberry-related. 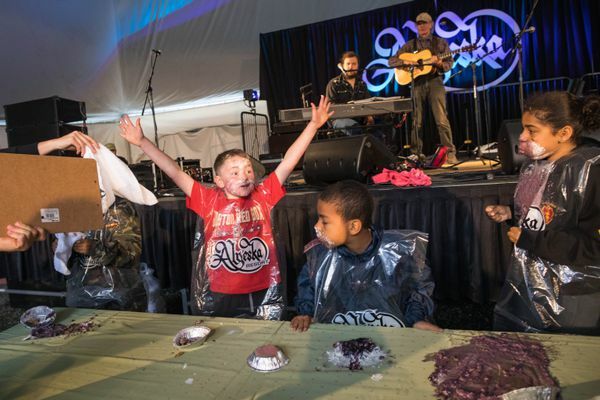 Contestants, some as young as 4 years old, signed up for the blueberry pie-eating contest. 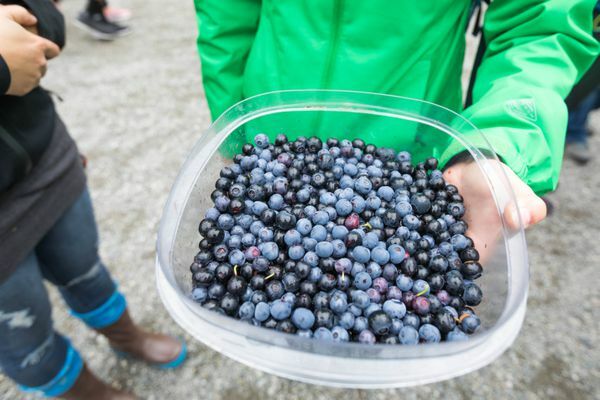 Other festival attendees chose a more civilized way to consume their blueberries, choosing instead from a variety of vendors serving blueberry-inspired twists on standard fair food. 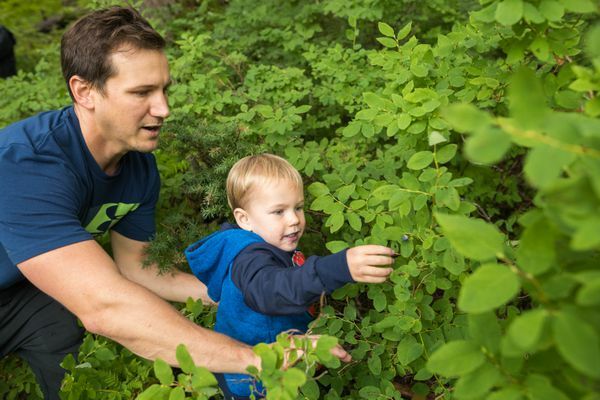 Families hiked up from the festival grounds to Chair 7, seeking out blueberries that hid in the woods up the mountain. 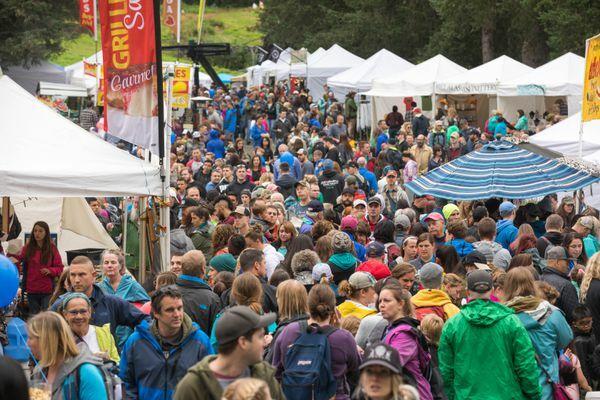 The festival continues Sunday from 11a.m. 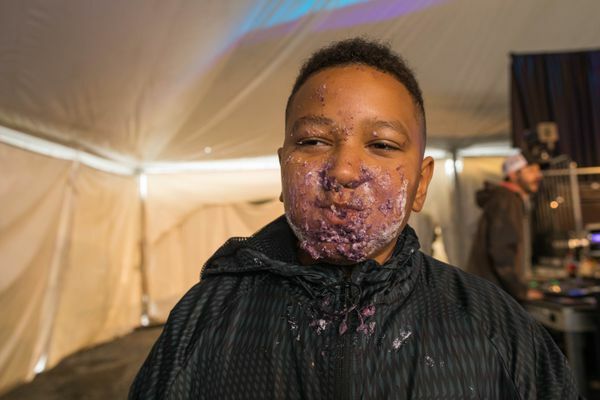 to 8 p.m.